Mini Projector Manufacturer | Cetus International Ltd.
Cetus Mini Projector provides a great solution for your needs. It's convenient and portable that you could carry it wherever you go. In present age, we are now living in global village. 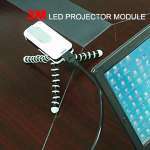 Professionals travel around the world; as a result, mobility becomes an important issue, and devices such as mini projector becomes a practical solution. As a businessman, it is a wonderful choice to carry around this device along with your own laptop to present your ideas to your customers. The device is the smallest one in the world, weighted only 160g. 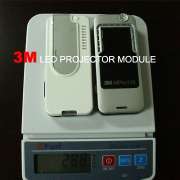 With 3M solution, this is the first one with LED in the world which only needs 10W in power consumption. This device is certified with RoHS compliant, and also with FCC and CE safety certification. Cetus has been developing quality merchandise for years. With experience and professional approach, the supplier is confident in manufacturing prime quality mini projectors which can fulfill buyer’s needs. To acquire more info, please feel free to send us your inquiry. We are keen to help you with our best service.